What exactly is the love you want? Where is the best guide to getting the love you want? 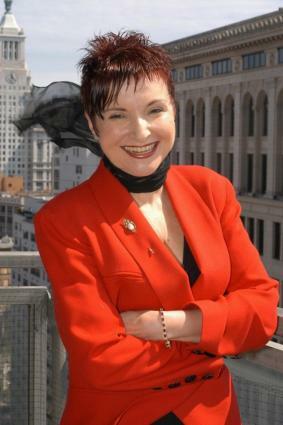 Ask Dr. Diana Kirschner who has appeared on Oprah and Good Morning America as a true love expert and life coach. 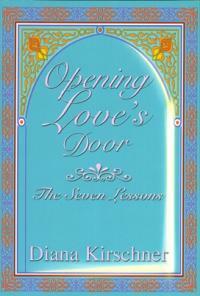 Her book, Opening Love's Door: The 7 Lessons has been called a 'cult classic' by Readerviews.com. Savor some of Dr. Diana's gracefully presented advice in the following exclusive interview. How did you come to be known as a love expert? Like a crusader, I've dedicated the last 20+ years of my life to finding the holy grail of love. Armed with an M.A. and a Ph.D. in Psychology, I went on my own personal journey of demystifying the process that has baffled so many of us for so long. While on this journey I studied happy couples (hard to find, but I did) and apprenticed with Eastern and Western mentors, teachers, other psychologists, self-help gurus and sages. Putting it all together, I co-developed special techniques for creating love and romance in the 80's. After teaching them to therapists all over the world and running a large therapy clinic, I noticed a high percentage of women and men were getting married, or staying married, happily married, by using these personal growth techniques. I was invited to talk about my work on Oprah, Good Morning America, and many other media outlets. Life coaching has been receiving a lot of media attention, what exactly does a life coach do? A life coach helps you envision the life you would like to create and acts as your confidante, advisor, drill sergeant and cheerleader, as needed. Tell us a little about your book, Opening Loves Door, and its unusual format. Opening Love's Door is a fable and it was so much fun to write! The book is about Janna, a woman devoted to everyone but herself, who meets a mysterious and magical fairy godmother, Raphaela Love. She teaches Janna life-altering lessons for conquering fear and creating love in her life. Janna and Raphaela really seemed to take on lives of their own as I wrote the book. From the feedback I'm getting, their story is helping lots of folks find love and more. It's exciting! Please share a brief summary of the seven lessons from your book. The lessons deal with: falling in love with yourself as the first step to finding love; being willing to face your fears, especially your fear of loss in order to stand up for what you need; a dating program where you date three people at the same time to avoid being dependent on one too soon; the importance of finding a 'fairy godmother' to help you heal from rejection and abandonment and go forward to create the love and life you want; and more. What would readers gain by reading your Amazon short, The Ultimate Guide to Getting the Love You Want? How to get yourself a fairy godmother. Four pivotal 'insurance factors' that make a love relationship last. The best dating tips for finding and keeping a phenomenal Lover/Friend/Companion. How to avoid the biggest mistake singles make. How to smash through a losing streak in love relationships. Four deadly problems almost guaranteed to kill a relationship. How singles can lose their anxiety around dating. A simple way to have more love, romance, and spirituality. Advice for when he won't commit. In your opinion, what are the biggest mistakes singles make when dating? Jumping in too deep too soon with someone new! It's hot, the chemistry is right. You jump into bed, spend tons of time together and yet you hardly know each other's name. This just creates a tremendous pressure and anxiety that kills the relationship before it can even begin. How does someone know they have found true love? You find someone who is a loving best friend. As a couple you share romantic chemistry and a vision for a shared future in which you give each other roots and wings. Any words of wisdom for those still struggling with their love relationships? My free Relationship E-Tips and articles are available at www.openinglovesdoor.com.